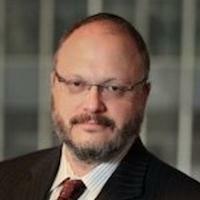 Charles Joseph is the founding partner of Joseph & Kirschenbaum LLP. Charles found his calling helping workers like you get the justice you deserve, and his team has recovered more than $120 million for victims of workplace violations. Charles Joseph charges purely on contingency, meaning there are no fees for retaining his services - he only gets paid if he recovers money for you. With over twenty years' experience in employment law, Charles Joseph helps employees win claims for discrimination, sexual harassment, wage theft, retaliation, wrongful termination, and other illegal employer activities. He uses the legal system to make life and work more fair for his clients, and Charles has a track record of success. Charles has a long history of helping people who have been treated unfairly. He was honored by the Lawyer's Committee for Human Rights (now Human Rights First) for his pro bono work obtaining political asylum for China's leading literary dissident, as well as refugees from Haiti, Pakistan, Sudan, and Ukraine. His pro bono work includes housing cases for indigent tenants, family law and child support cases on behalf of indigent women, and criminal appeals for indigent defendants.